There comes a point in the life of every business when you know you need more investment to maximise the business opportunity. If your business is a start-up or small business you may not have the track record or assets to access traditional forms of lending. Alternative finance can be a welcome lifeline. You may also feel you want to bring additional expertise into the business. In which case, angel investment where the business angel brings expertise, skills and contacts as well as their cash can be a better option for raising investment. Whatever form of investment you choose, you will need to issue shares (equity), which means you will need to value your business. But what is your business worth? 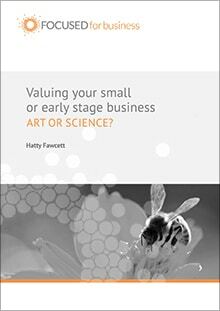 How do you value a small or early-stage business? All of which will give you a better idea of the true value of your business.